The Working Group for Quality Control (QC WG) of EAS is responsible for setting standards in order to ensure representativeness and reproducibility of the methodology used in routine aerobiological monitoring. In the following four year period the QC WG will facilitate Europe wide interlaboratory test with focus on setting minimum requirements for counting airborne fungal spores. In response to the emergence of new technologies for real-time pollen observations, the QC WG will support activities aiming to integrate classical and automatic measurements. The Working Group for European Legislation of EAS follows the evolution of the different legislations on biological air quality and allergies known from different countries. Up to now we stayed in touch with EFA (European Federation of Allergy and Airways Diseases Patient’s Associations) about the pollen topic. There has been a discussion about some evolution of the regulation in France for allergy and aerobiology, EFA and EAS added the necessity to try to have an European legislation during the meeting of the IG “Asthma and allergy” which was organized at the European parliament on April 19th 2017. – New Health Law in France in 2016 with integration of biological particles in the airborne pollution Survey. – Some letters with EC about the urban plants which may be considered as anthropic so, possibly pollutant. – General assembly of EFA in Florence 2017 May 22nd. – Seize the opportunity of renewing the European directive on air quality in 2019. 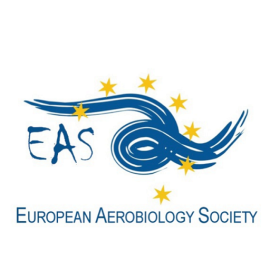 The Working Group for Educational Aspect of EAS is responsible for organizing the biennial European Course on Aerobiology. This is an interdisciplinary course with the purpose to teach the technicians and laboratory workers, from a range of different disciplines, the bioaerosol analysis and data utilization for different applications, such as allergology, modeling, and forecasting, and to compare procedure and deepen fundamentals of monitoring techniques. Participants acquire knowledge of the science and application of Aerobiology, sampling techniques used in sample preparation and analysis as well as expertise in identifying selected pollen and fungal spores by light microscopy. The WG participates in the organization and management of the Advanced Aerobiology Courses created by the International Association for Aerobiology. These courses are dealing with more specialized aspects of scientific aerobiology and are dedicated to people having already a technical knowledge of aerobiology. Moreover, the WG supports the publication of teaching material used in aerobiology courses. The Working Group for European Symposium of EAS focus on the organization of the next European Symposium for Aerobiology (ESA). These symposia are held every 4 years. The last ESA was in Lyon, France, on July 2016, and the next will be in Cordoba, Spain, on June 2020.